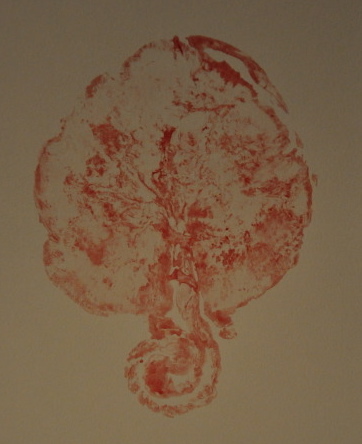 I realize this is not for everyone, but some of you have been requesting it, so… I am also offering placenta prints upon request at no additional fee! I will be using thick acid free paper, so as not to affect the process of the capsules and tincture. Rene Redzepi of Noma; Eating Afterbirth; Le Fooding; Grapes – Good Food on KCRW. Take a listen to my interview on Good Food! Click the link and go to the download option where you can listen to last Saturday’s show. If you’re not interested in the whole show, you can skip to my interview toward the end. A client’s husband, the one and only Joel Stein has written an article in Time Magazine on his experience of me coming over to prepare his wife’s placenta! Please read and prepare to laugh. The placenta is an endocrine organ, meaning it is a hormone producing organ. The placenta begins producing hormones at 6-8 weeks gestation to help sustain pregnancy. These hormonal levels continually increase during pregnancy, and by the third trimester there are 3 times the normal level of hormones in an expectant mother’s system. By 4-5 days postpartum, these hormone levels will drop to below normal. This is a huge fluctuation going from 3 times the normal level to below normal hormonal level, and this is where the healing properties of the placenta come into play. Here are just a few of the scientifically known hormones and their functions that are produced by that placenta and are still viable and intact after delivery. Oxytocin: for pain and bonding; also known as the “love” hormone. These are just a few of the powerful healing hormones that the placenta produces, so doesn’t it make sense to safely welcome these hormones back into your system as well as your baby’s through your breast milk? 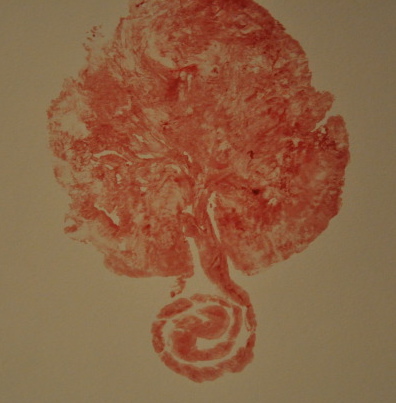 Read more about Placenta Encapsulation. Granted, they are speaking of cats, but listen to what they stated on the show ‘In the Womb:Cats’ regarding the mother’s ingestion of the placenta. I am not trying to say here that if a human mother does not ingest her placenta that she will reject her baby, but its good to know that scientists are acknowledging more and more not only the physical effects of a mother ingesting her placenta, but also the psychological effects. Thanks Nat Geo! Below is a link to a very well written article courtesy of PlacentaBenefits on the use of placenta for postpartum recovery. Enjoy! Another unfortunate inccident regarding a hospitals disregard to a woman’s request and right to her placenta. Please read the post and browse the links to ensure that this does not happen to you or any woman that you know who wishes to take home her placenta. Here is a good example of why it is so important to contact a specialist on placenta encapsulation before it is too late. There are a lot of people out there starting to offer this service, be sure that they are trained in this process and know the dos and don’ts of the encapsulation process. Beat the Baby Blues and build your baby’s immunity at the same time. Dehydrated placenta is extremely nutrient rich and helps replenish the body, restoring and rebalancing hormones after labor and delivery, with the intention of preventing post-partum depression. It is high in vitamins and minerals such as iron, protein and vitamin B6. The act of ingesting placenta capsules also helps the new mother enhance milk production and shorten bleeding time. Some capsules can even be saved for when the time comes to wean baby from breastfeeding or when it comes time for the first day of school. As well, it can be given to the child if there is ever any bone breaking or trauma of any kind. These are just a few examples of the many benefits of placenta. Visit http://placentabenefits.info to find out more.